Sept. 28, 2011, 2:30 p.m.
Google, Facebook, and Twitter are great. But they’re not everything. By David Skok @dskok Sept. 28, 2011, 2:30 p.m.
Edward R. Murrow was a pioneer in television who has shaped the way we tell stories in that medium for over 60 years. He has been immortalized in film and even has a J-school named in his honor. But Murrow’s career began not in TV, where he is most celebrated, but in radio, where he cut his teeth as a war correspondent, broadcasting live from the rooftops as the Blitz rained down on London. Throughout his years in television, Murrow applied the journalistic principles he’d honed through experience to the new medium of sound, pictures, and, eventually, color. You’ll see his legacy in any HD television newscast today. Murrow found himself at a precipice, and chose to look back to find his way forward. We are now at another precipice in journalism: The decisions we make about news’ direction in the digital world have the potential to shape how stories will be told for decades to come. So who will be our Murrow? The problem is that the answer may be more about “what” rather than “who.” In the digital world, the tools we use to tell the world’s stories — Twitter, Google, Facebook — control us as much as we control them. I am a digital journalist, and I’m enthusiastic about what our new platforms can provide us in terms of telling stories. But I also wonder whether we’re letting our tools define, rather than serve, the stories we tell. I wonder whether digital journalism’s Murrow won’t be a journalist, but rather a tool that journalists use. In this age of crowdsourcing and participatory journalism — this age in which, to some degree, everyone can be a journalist — some would argue that those concerns are moot points: that we don’t need a Murrow anymore. They might say that “transparency is the new objectivity” and that it’s perfectly justifiable for the editor of a technology news site to also run a venture fund. But principles are principles only if they can withstand the changing of circumstances. And dismissing the links to our storytelling past can set digital journalism on a dangerous path. Mark Coatney, the Tumblr evangelist who left his job at Newsweek to help bridge the gap between journalists and his new parent company, pointed out during the Online News Association conference last week that 105,000 jobs were lost in newspapers between 2001 and 2008. One upshot of that grim stat, as Coatney put it in the talk: “We’re all our own best agents” now. That may be true for Coatney and for the handful of other journalists who’ve found ways to make names for themselves in this new age, but here’s the unfortunate reality: When those 105,000 reporters, producers, editors, and managers left the profession, they took with them 105,000 versions of professional experience: the experience that comes from covering news events in environments ranging from small towns to war zones. Those 105,000 reporters, producers, editors, and managers, in another time, could have acted as mentors for the new generation of reporters — the young people still predominantly employed by traditional media outlets — that will likely mature in the industry without obvious role models. Given the changing state of our craft, though, those trends aren’t irreversible. Here are some ideas to get us back on a course that would make Murrow proud. Twitter, Google, and Facebook – to take the most prominent examples – are wonderful tools that open up a whole new universe of communication, interaction, and reporting. But that’s all that they are: tools. And they are tools, of course, that are provided by profit-driven companies whose interest lies as much in their own benefit as our own. Google News got applause at ONA this weekend when it announced Standout, the new tag that will allow publishers the chance to get a better ranking in their news search results. The line between “journalism organization” and “technology company” has never been thinner. And that may be because we aren’t asking the right questions. War correspondents are experts in covering war. Health correspondents are experts in covering health. It seems fitting, then, that digital journalists should be experts in covering digital technology news. So the next time you’re at the “launch” of a new product, even one that could be beneficial to the news industry, don’t be afraid to ask questions not just about the product itself, but also about the company’s overall take on privacy, competition, and security. Or about the implications all these tools are having on journalism and on the First Amendment. If digital journalists – who understand the technology better than most reporters — won’t ask these questions, who will? By now we’ve all heard that social media and the Internet in general are magnets for hoaxes, fake photos, and errant reports. It’s not that these things didn’t exist before the digital age, but that now, with social media, these reports can be spread rapidly and then be immediately amplified. It’s unrealistic to suggest that inaccuracies can be fully debunked during the initial germination phase, so the responsibility lies with social media editors and producers to fact-check and verify information before amplifying false reports. For their ONA panel, “B.S. Detection for Digital Journalists,” Craig Silverman and Mandy Jenkins created a terrific slideshow with some tips on how you can detect incorrect information before reposting it online. And of course, the inimitable Andy Carvin is leading the verification charge via his consistent — and very public — attempts to fact-check the information he curates on Twitter. Those are good starts, but they’re also efforts that need more systematic adoption. As Murrow knew: No matter what the medium, nothing kills credibility faster than reporting false information. Traditional journalists often trot over to their (often newly-hired) social media editors and digital aggregators and ask those journalists for practical advice: how to use Twitter, how to navigate Facebook, how to mine data for stories. What once felt like a war between traditional and digital journalism has now settled into a somewhat uneasy truce – and into a (sometimes grudging) recognition that, increasingly, “digital” and “journalism” are inextricably connected. But we’re all in this together, of course. And the onus is on digital journalists to welcome veteran reporters into the future’s fold — to help them navigate the new tools that will inform, if not define, the shape journalism takes going forward. But the onus is also on digital journalists to learn from the veterans – to learn reporting methods and narrative techniques and skills that have nothing to do with Google or Facebook or Twitter, and everything to do with journalism as it’s been practiced throughout its history. The veterans may not be able to show you how to create Fusion tables, but I can promise that, from them, you’ll learn something new that will help your reporting more than the latest tools ever could. 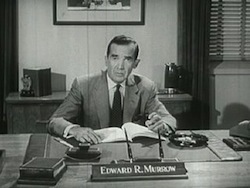 Image of Edward R. Murrow via the Prelinger Archive used under a Creative Commons license. POSTED Sept. 28, 2011, 2:30 p.m.
Skok, David. 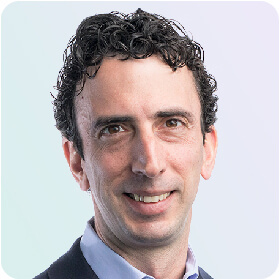 "David Skok: Why we need to separate our stories from our storytelling tools." Nieman Journalism Lab. Nieman Foundation for Journalism at Harvard, 28 Sep. 2011. Web. 20 Apr. 2019. Skok, David. "David Skok: Why we need to separate our stories from our storytelling tools." Nieman Journalism Lab. Last modified September 28, 2011. Accessed April 20, 2019. https://www.niemanlab.org/2011/09/david-skok-why-we-need-to-separate-our-stories-from-our-storytelling-tools/.